What does a Speeding Ticket Lawyer do? A speeding ticket lawyer is an attorney, barred in the state, who practices primarily in the area of traffic violations. A speeding ticket lawyer will take cases involving speeding tickets, reckless driving, assorted moving violations, parking tickets and DUI cases. Speeding tickets may seem like they are not that big of a deal but they can not only affect your wallet, but also your insurance premiums, your ability to drive, and even your ability to work. Cities, counties and states get a lot of their revenue from fines involving traffic violations, especially speeding tickets. With the recent economic crisis, jurisdictions are seeking more avenues of revenue accumulation. This includes increasing the fines and penalties associated with traffic violations. 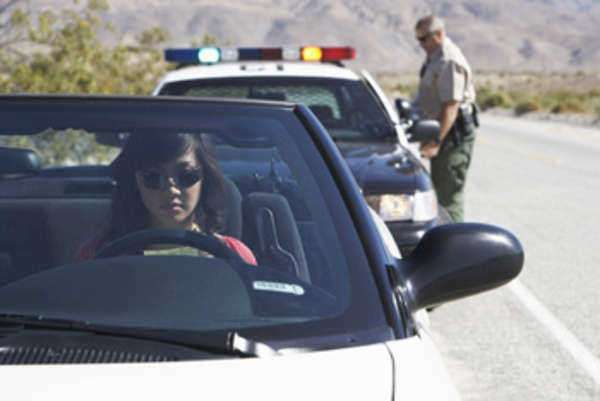 A Speeding Ticket Lawyer is your best defense to help you get your ticket dismissed or reduced. Why do I need a Speeding Ticket Lawyer? For many speeding tickets you will not need a speeding ticket lawyer. If your speeding violation involves little to no points on your license, is a small fine, you live far from the jurisdiction, or a combination of these it may not be necessary to get a speeding ticket lawyer. A speeding ticket lawyer can be moderately expensive and you have to weigh a number of factors including the detriment to your driving record and the cost of the lawyer in comparison to the possible fine. Situations when you will want a speeding ticket lawyer are when you face severe punishment due to your speeding violation. Depending on how much over the posted speed limit you were going the fines can be excessive. Speeding tickets of more than 10mph over the speed limit can result in fines in the hundreds of dollars excluding court costs, mandatory traffic school and other expenses that can accumulate to thousands of dollars. Speeding ticket lawyers will be able to get those fines reduced and attempt to get you out of court mandated traffic programs that can cost you time and money. Speeding ticket lawyers are even more necessary when you are dealing with an excessive amount of points on your driver’s license or you have more than one violation on your record. Points are a system where the DMV tracks traffic violations over a period of time. If you have to many violations it can result in the suspension of your driver’s license. This can affect your lifestyle and your ability to work. For example, the Commonwealth of Virginia treats a speeding violation of 20 mph over the speed limit as reckless driving that will result in 6 points on your license and a $1050 reckless driving surcharge in addition to a fine. A speeding ticket lawyer will be able to negotiate with the prosecutor to get points reduced; and in the matter of suspensions, attempt to allow for you to get certain driving privileges that will allow you to get to and from work. Another reason to have speeding ticket lawyers on your side is that often you will be given a speeding ticket and be required to appear in court in a jurisdiction far from your home. The expense of trying a case on your own in a court hundreds of miles from where you work and live can cost you excessive amounts of time and lost work to defend your case. Hiring a speeding ticket lawyer in the jurisdiction where you received the violation will prevent you from having to travel to represent yourself. When people get speeding tickets with points involved they often don’t think of the costs of the violation in excess of the fine. Your insurance premiums can rise strictly for going 10mph over the speed limit. There are many incidentals that go along with a speeding ticket and a speeding ticket lawyer, although costly, may end up costing you less in the long run. When you are looking for representation from speeding ticket lawyers you want to treat it like any other large purchase, you want to research and interview at least 3 speeding ticket lawyers who you feel meet your needs. You should consider the cost. This isn’t like a criminal violation where you need the best attorney money can buy. You want someone affordable. If you spend a lot of money on a speeding ticket lawyer you may find that the expenses and stress he or she saved you is less than the amount of his or her fee. Weigh your situation, come to a conclusion on price and then seek those speeding ticket lawyer in that range. You should look for a number of qualifications. First, you will want a speeding ticket lawyer who is barred in the state that you committed the violation. You will also want a speeding ticket lawyer who is familiar with that specific court, the prosecutors, judges, and court staff. Dealing with speeding tickets is often a matter of negotiation with the prosecutor and a speeding ticket lawyer who has a long standing relationship with the prosecutor will is more likely to get you a positive result than someone unfamiliar with the jurisdiction. You will also want a speeding ticket lawyer who presents himself in a professional manner. Part of the reason why you get a speeding ticket lawyer is to show respect for the court and that you are taking the matter seriously. The best way to get a fine reduced is to show respect to the judge. If you have a speeding ticket lawyer who is slovenly, late, or ill mannered it will affect you negatively. A speeding ticket lawyer will often charge a one time flat fee for representation. This fee will vary with the complexity of the case and the violation charged with. Before you even meet with a speeding ticket lawyer you should find out what his fees are and maybe get a ballpark number for your case. A speeding ticket lawyer will also charge you for all fees related to your representation. This includes, investigations, copies, faxes, and other expenses. You should request a expense report to be given to you on a regular basis. ■	Are you in good standing in the state? ■	How familiar are you with the court, prosecutor, judges? ■	Have you ever been disciplined by the bar? ■	What do you think the result will be? ■	What are your rates? If you have been pulled over by law enforcement and issued a ticket for speeding you may need the representation of a speeding ticket lawyer. Speeding tickets can involve, not only expensive fines, but points, rises in insurance premiums, mandatory traffic school, and even the suspension of your driver’s license. A speeding ticket lawyer can help you to quash or mitigate the damages resulting from excessive speeding. States have become very strict in enforcing speeding violations. North Carolina, for example, requires mandatory driver’s license suspension for speeding violations of 15 mph over the posted limit. Depending on the violation you are charged with, the distance you are from the courthouse, and the possible penalties associated with your speeding violation you will need a speeding ticket lawyer.